Accommodation on the 1st floor of our farm (where I was born) with a sitting area and bedroom with double bed, a bedroom with double bed and 2 single beds. A bathroom with shower over bath. Our Country in the heart of the Jura Mountains was dubbed the Blue-Green Country because these two shades attract the visitor's eye: the outdoor recreation area, the discovery of craft traditions and gastronomic pleasures. This country is fully appreciated by the richness of its activities and the quality of its welcome. Enjoy it freely. Belleherbe is a small village of Haut-Doubs (altitude 750 m, 650 inhabitants). Located 60 km east of Besançon and 25 km from the Swiss border. We live in an old restored farm Grandfather. We own this farm three cottages (Gîtes de France 2 ears). These deposits were created by my parents in 1976 and we have resumed and renovated in 1991. For 10 years we have created a Bel'Ane association, and we propose hiking with a donkey to the tourists who come to the area, as well as our guests. 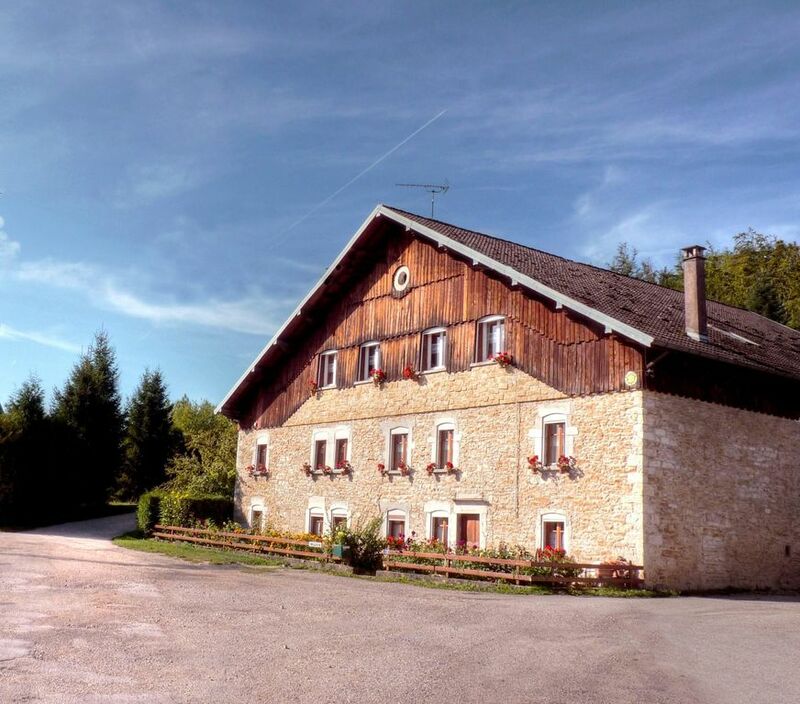 We offer various long or short circuits, which allow you to visit our beautiful region: pine forests, lookouts, walks along Dessoubre (tributary of the Doubs) and discover the Franche-Comté hospitality is not an empty word . The donkey carries your luggage and small children and gives soul to your hike.